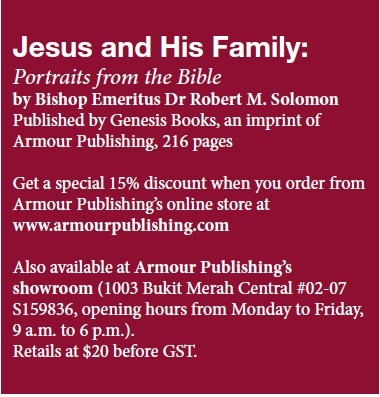 Bishop Emeritus Dr Robert Solomon has written a timely and insightful book with implications for personal piety and family relations. Based on accounts in the Bible and some outside sources, which he weighs and sometimes rejects, he presents interesting insights into Jesus’ birth and boyhood. Here and there are interesting puzzles: How old was Joseph? Was there a star? Where did the Magi come from? Did the couple stay in the stable of an inn? This reconstruction requires some degree of imagination, which in this case is well-judged and entirely plausible. The tone is straightforward. At times, Dr Solomon inserts some pastoral comments. The opening chapter anchors family life to a deeper spiritual dimension by reminding us of two essential attributes of Jesus’ divine family – self-giving love and complete harmony of purpose and mission. Understanding this is key to our understanding of Jesus’ earthly family and by extension, to how Christian family life could be lived. We need Jesus in our family. Dr Solomon has something to say about her relatives as well. Mary spent three months in the “spirit-filled” home of Elizabeth and Zechariah. He reasons that during this period, Mary must have received wise and spiritual counsel from her older relative. Godly relatives are God’s gift to strengthen our faith. The historical information that the author provides against the Biblical narrative is both fascinating and useful. He sketched the Machiavellian exploits of Herod the Great against the backdrop of political events in Rome and traced his dynastic line to his great grandson, Herod Agrippa II, who examined Paul as described in the book of Acts. And so, the book goes on with insightful lessons on spirituality. It covers Jesus’ family’s sojourn in Egypt, the return to Nazareth and the visit to the temple when He was 12, and his presence at the wedding in Cana. Was there a special significance to the six water jars used for ceremonial washing which Jesus filled with the choicest wine? John’s gospel referred to this as the first of the six signs included in the gospel. Could this miracle be intimating the sacrifice that Jesus was to make, to replace religious ceremonialism with His blood, the wine of forgiveness and redemption? This slim volume contains much food for thought, and through the lives of the Biblical characters, Dr Solomon shows how thinking about God in His bigness can help us to steer through anxious moments in life. 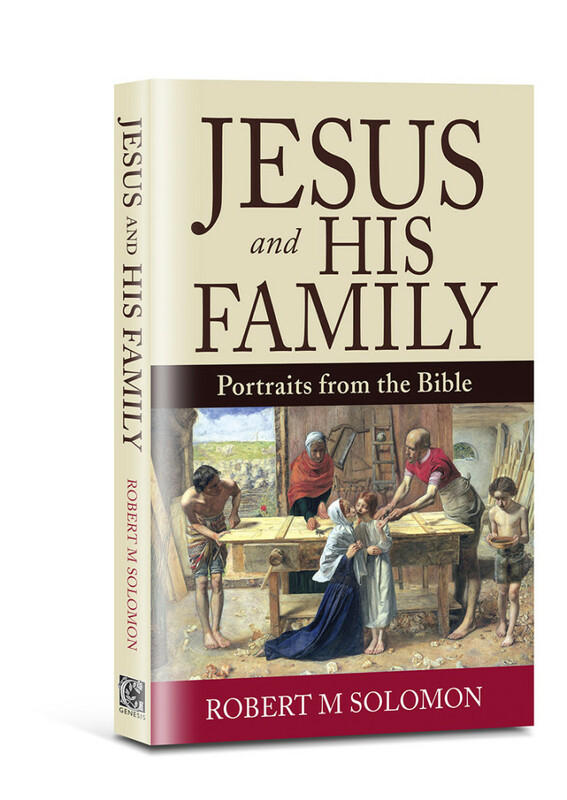 The book ends with the thoughtful question: What does it mean to be in the family of Jesus? Here is where this reviewer leaves you to find out more about what the author has to say, and to contemplate your response. Here and there are interesting puzzles: How old was Joseph? Was there a star? Where did the Magi come from? Did the couple stay in the stable of an inn? John Ang is a lecturer at the National University of Singapore, and a member of Paya Lebar Chinese Methodist Church.